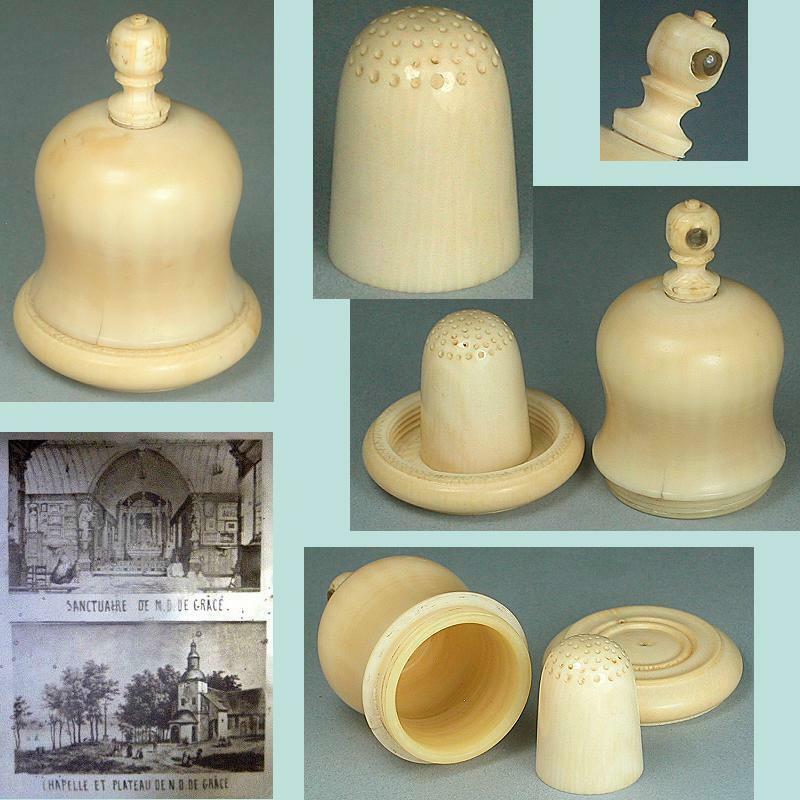 This antique bell is smoothly carved of ivory and contains a child's size ivory thimble. The top has a Stanhope viewer with two views from Notre-Dame de Grâce in Normandy (France). The bottom edge of the egg has 3 tiny hairline cracks, but screws together well and securely. The condition is otherwise excellent and it measures 1 7/8" high and 1 1/4" in diameter. 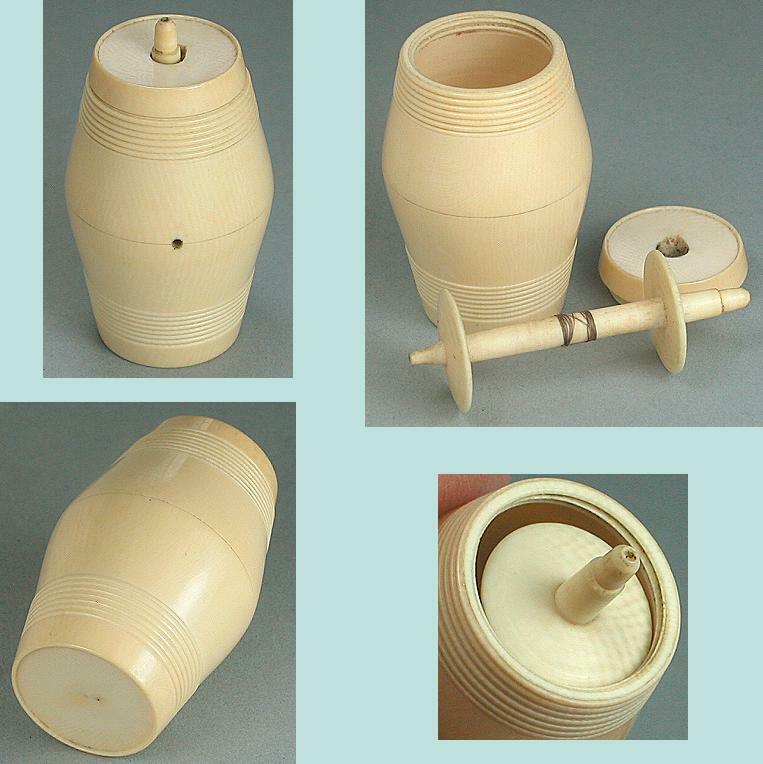 The little ivory thimble has smooth sides and carved knurling on the top. It's in great condition with no holes, chips or other damage. It is about an American child's size 5 (13.4 mm diameter opening). The ivory grain and patina are lovely.